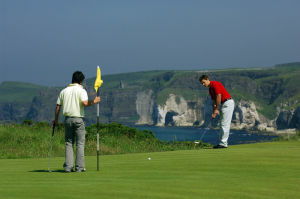 You want to make the most of your time and get plenty of practice speaking English, so when your lessons are finished let us show you some of the interesting and exciting activities available in Ireland. 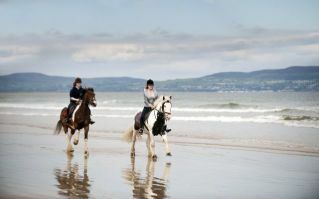 Try some traditional music or dancing, horse-riding or hiking. 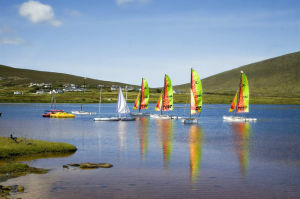 Choose from countless sporting activities including surfing and sailing. It’s all available in Ireland. Take a closer look at what’s on offer in our Courses section, or Request your own Personalised Course & Activities. All activities are supervised by professionals and are carried out in the safest conditions. You will be learning English without even realising. Let IrelandSchool book and organise it all for you, and you can get on with enjoying yourself and speaking English! If you would like to try another activity that we haven’t mentioned, please ask us by Requesting a Personalised Course and we will do our best to find it for you. Thank you for a lovely time in Dublin. In the morning I did lessons in my teacher’s home and in the afternoon she brought me to many great places in the city. It was so good to speak and hear English all the time. I miss Ireland already! I want to say thank you for the fantastic studying holiday in Ireland. I was very happy to play golf after learning. My teacher was charming also and I am sure I’ll come back again.